E-mail is at the same time an efficient communication tool and a big productivity disruption that can occupy up to 23% of your daily working hours. In fact, if you do a search for e-mail and productivity on Google you will get over 260 000 000 (that is right!) hits. This should tell you that for many managing e-mails is a serious modern problem. Furthermore, considering that your brain require a reset time to get back to a deep focus level needed to accomplish key tasks such as writing manuscripts, grants and so on every time you are disrupted, looking at your e-mail you essentially trigger that “reset” timer. The toll on your work could be disastrous. Before internet, (physical) mails and internal memos would get to you at fixed time points during the day. This would spread the “opportunity” for disruption to a few specific times each day. E-mails on the other hands arrive on a continuous basis throughout you work day, even longer if you collaborate across multiple time zones (in one work effort I am involved, we are covering 17 time zones). Note that I find it interesting when hearing students telling me that e-mails are a huge problems for them and they do not look at them even thought they received only few “good” e-mails a day. Heck, they are disrupted by texts and other type of posting probably 10x more often. The latter is another matter but this overall underlines that need for some education relative to handling e-mail even for graduate student. More importantly in academia, e-mail is a powerful way to communicate across the globe and also a key “inbox” for new tasks and projects that bounce your way: request for manuscripts and grants review, call for abstracts at meetings, call for grant proposals, official communications from your colleagues, department, institution and many more. While we certainly do not have the same load as consumer service departments, e-mails is critical in academia. The figure below provide a report of my e-mail weekly input. It is quite typical: around 700 e-mails/week. Of them no more than 40% are actually real, useful e-mails. For many that is still a lot. You can also note that for this particular week, I also sent quite a lot of e-mails. I would normally hover around 140/week. Over the year, I have established some strategies to cope with e-mails. I will not that I have reached the perfect approach but overall those who know find that I am usually very responsive to e-mails. I should also point out that since I have two physical place of work, not counting my home office and all the travel, e-mail is actually the best way to get hold of me. The strategies I developed over the years will be presented into 8 separate sections. This blog post in the first of two and will deal with the first 4 sections, namely filtering, notifications, frequency and the fabulous e-mail charter. In the next one, we will look at e-mail to action, filing, project-based filing and automation/scripting. First thing you will notice, yes I am subscribing to a filtering services. I have been for many years now to SaneBox. You can see from the provided figures how those e-mails were categorized between the important and all other e-mails; my inbox never get filled by all of those “junk” scientific journals and conferences: they are always ending up in the worst case scenario in the @SaneLater mailbox but never in my top regular inbox. SaneBox services will direct your e-mails automatically either to your regular inbox or if not important in special mailboxes named @SaneLater, @SaneCC, @SaneNews, @SaneBulk boxes. There are a few other automated mailboxes you can use. Best feature is that you can train the software in classifying the incoming e-mails and it does get better with time. This process allow you to concentrate on your actual regular inbox and look at the other mailboxes only once a day or even less if you’d like. Note that the service also provide for a SaneCC mailbox. E-mail etiquette state that if you are in CC, you are not expected to reply. This mailbox automatically direct these e-mails away from your regular inbox and your immediate attention. 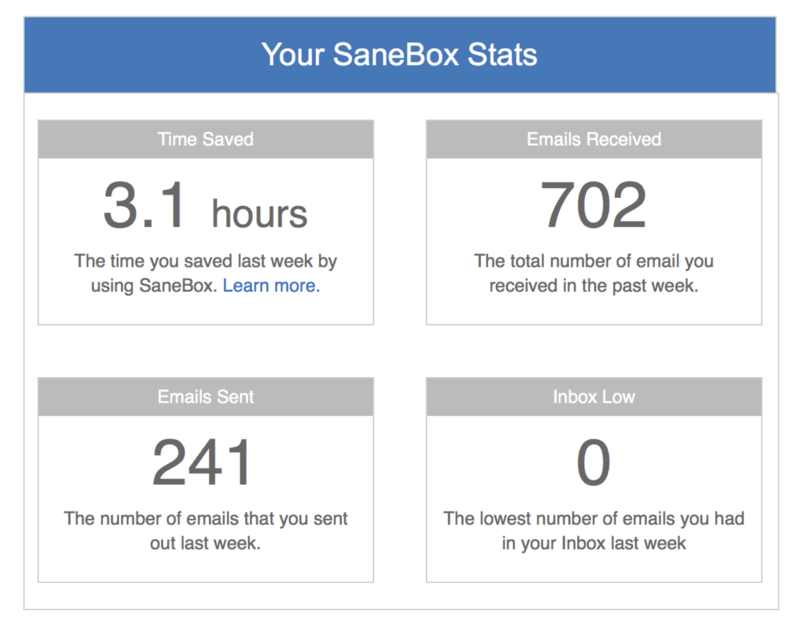 SaneBox service does cost around 6/7$ a month but it is a good investment. This is an important steps. For many this is stressful to do the first time. I have only notifications from a limited number of person, basically my family (in case something happen) or situations in which I turn them on for specific purposes. Otherwise, all notifications from e-mail, social apps or any apps are off. However, for a long time I kept the new e-mail inbox counter on the icon. Over a year ago, I remove that also. This is quite liberating as you do not feel this nagging of the counter on the top of your mail app icon all the time, and it brings me to step 3. 3) Limit the number of times you are looking at e-mails in any given day. Morning in the bus before getting to work. just before or after lunch time. Any time I would move from one major task to another, while waiting for a specific e-mail reply (in-between tasks which would need change of focus anyhow). More importantly, I also now (since two year ago) stopped completely to look at my e-mail during vacation (my wife is extremely happy). 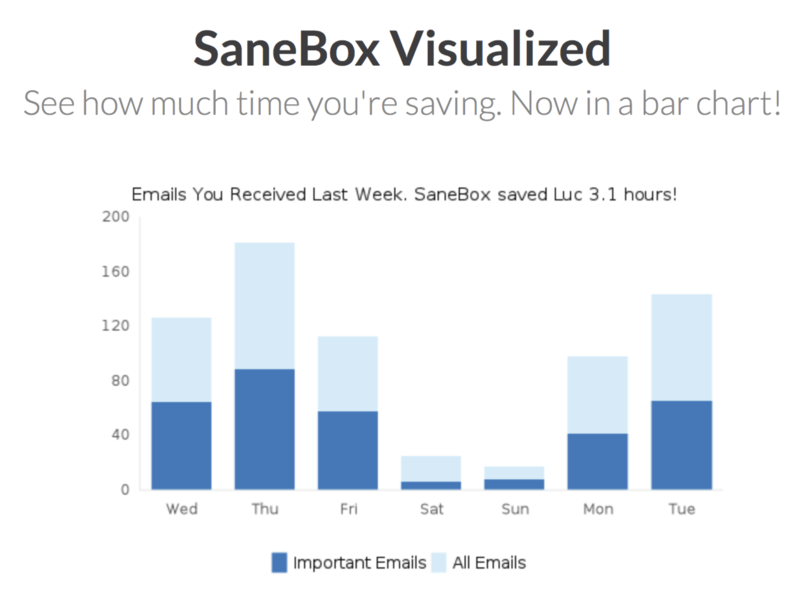 SaneBox has a nice way to keep e-mails arriving in your regular inbox until a later date that you set. No, the world will not stop turning if you do not read your e-mail during vacation. Just make sure that your students have alternative access to someone or you (via phone) in case of extreme emergency like a broken critical piece of equipment and so on. Thanks to a colleague, I discovered about a year ago the existence of the e-mail charter. It has a few excellent pointers to help yourself and your e-mail recipients simplifying your dealing with e-mails. The website currently appears down but here is a picture of the 10 entries of the charter. We have up to know just dealt with the basic ethos of e-mail. In the next post we will see how to get from e-mails to action items to Inbox zero.